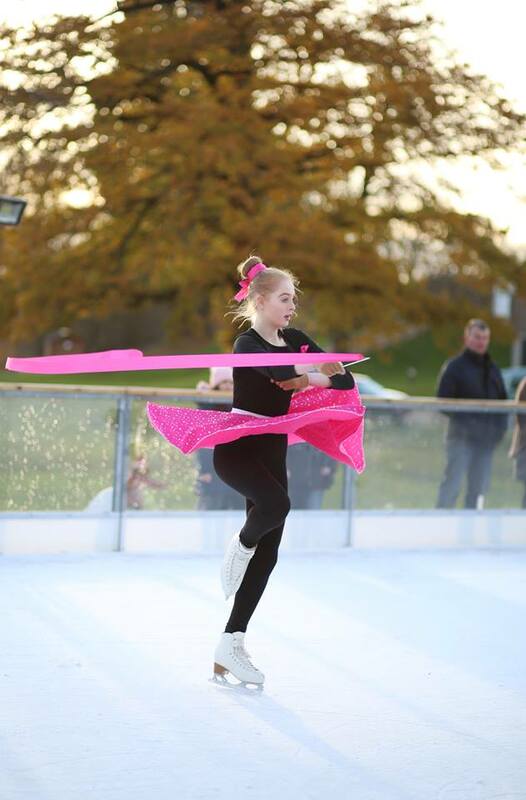 We were super excited to get the opportunity to attend a figure skating show as part of the launch of Wynyard Hall On Ice. 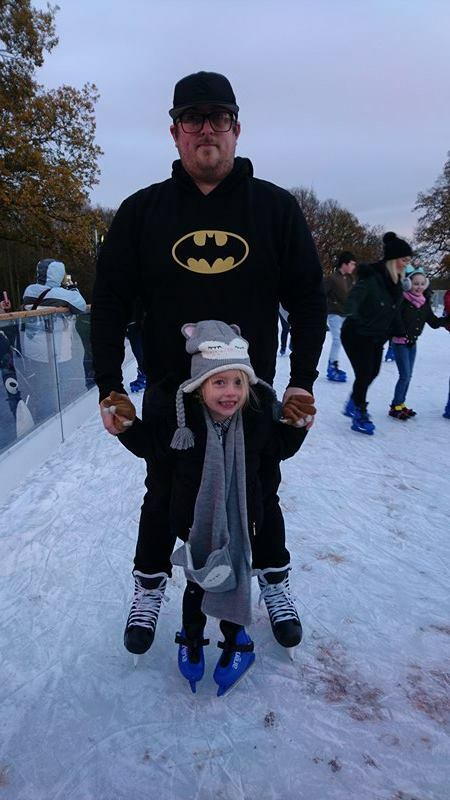 My partner Chris and his daughter Penny, 5, both love ice skating and Chris is a keen ice hockey fan so I jumped at the chance for us to check it out on Saturday. For the first time, Wynyard Hall is offering an outdoor, real ice skating rink as part of it's festive offerings. 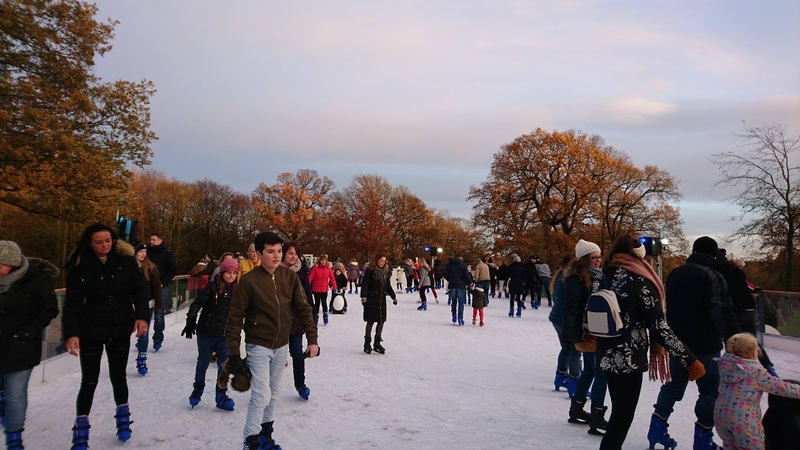 The rink is situated set back from Wynyard Hall itself, surrounded by trees and parkland. We didn't know quite what to expect beforehand, but were completely wowed by some young ladies who are part of the cast of 'Aladdin on Ice'. We certainly got a taste of their talents, as they put on a flawless performance for around twenty minutes. The highlight for me was to see them dancing to a medley of songs from Home Alone, which is one of my all-time favourite Christmas movies too. They made skating look SO easy, with spinning, speed skating backwards, and dancing with ribbons as well. As well as some solo performances they also took to the ice altogether. I definitely had my heart in my mouth a few times wondering if they were all going to suddenly crash into each other, but of course they didn't! Aladdin on Ice is taking place at The Billingham Forum Ice Arena over four nights next month. I love a good panto, and after seeing the talented cast members I am definitely going to grab some tickets for it as soon as possible. It's an interesting alternative to a traditional panto! After the figure skating show, we had around half an hour before the next skating session, so decided to check out the cafe. I'd never been to that part of Wynyard Hall before, and was really impressed by the farm shop and cafe. The cafe was, as expected, fairly busy and we did have to wait a while to get a table and queue for drinks. 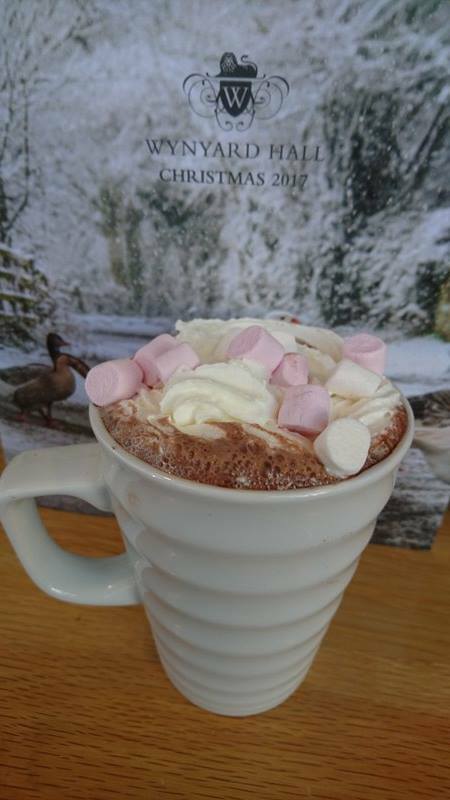 However, it was worth the wait as the hot chocolate certainly was the perfect warming drink to have after standing next to the ice rink. The gardens were also next to the cafe and looked fabulous, and I made a mental note to pay a visit another time for a wander around. After warming up a little, we headed back to skate, and Penny was offered some children's skates that attach to the bottom of her shoes, apparently making it easier for balance. However as she's been ice skating a few times now we opted for the 'proper' ice skates for her, which they do have available in children's sizes too. There were also some really cute penguins that can be hired for children to hold onto, to help make their way around the ice. Being a really busy session, there weren't any more of these available, so you should definitely book one in advance if you think your little one may need a helping penguin buddy! The sessions take place on the hour, for forty-five minutes. As it's a real ice rink, staff spend the other 15 minutes preparing the ice for the next time slot. The session that Chris & Penny took part in was very busy, to be honest I thought there were probably a few too many people on the ice at once, which could definitely add to the anxiety of any nervous beginner skaters! However, i'm not too sure whether that was more of an exception than the norm, with it being a special opening event. There were certainly lots of smiling faces, young and old, making their way around the rink, and the Christmas music really added to the festive atmosphere. I did think to myself that some festoon lighting around the rink would add a little more wow factor, maybe something for them to consider for next year! 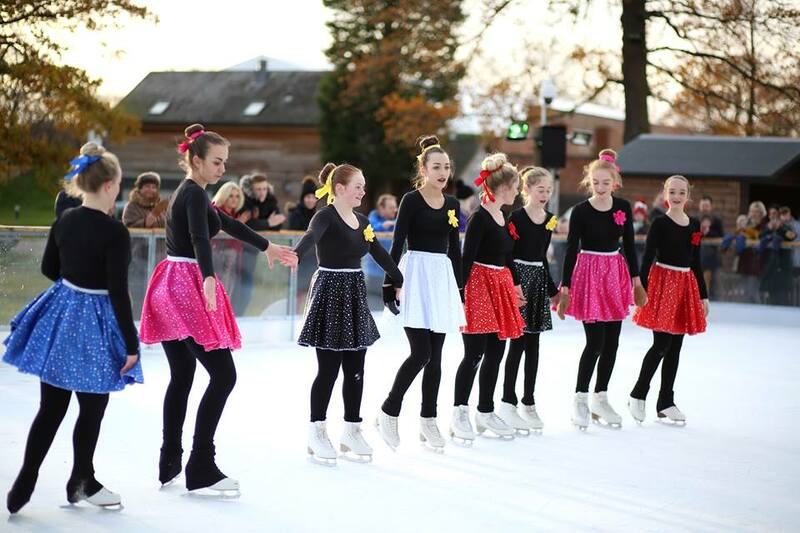 Booking for the ice skating sessions is strongly advised, advance booking is £8 per person (including children) and to pay on the door is £9 per person, including hire of skates. The support penguins are an extra £3 to hire. Booking can be done online via the Wynard Hall website. 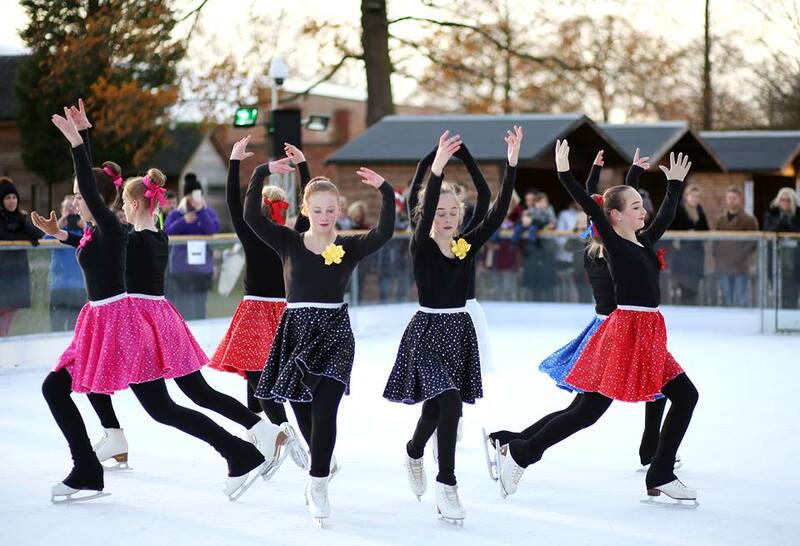 The ice rink is running until 31st December. Times vary depending on the days, but there are some evening sessions on Friday/Saturday/Sunday too. 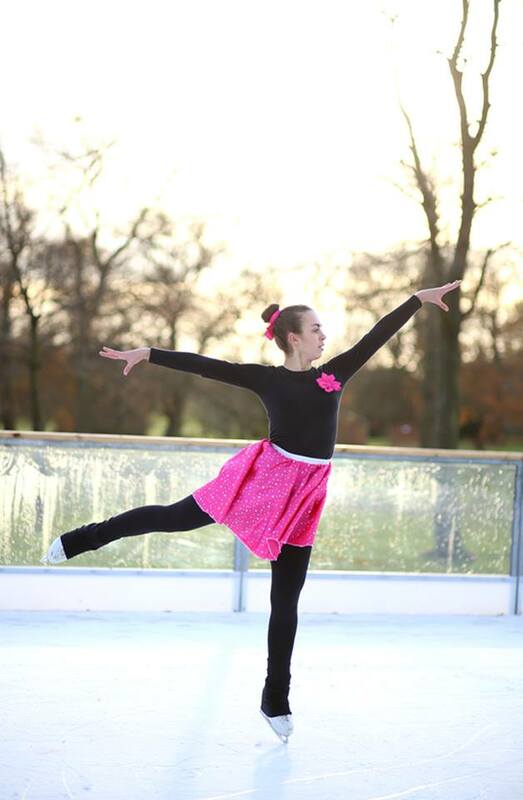 Find out more about Wynyard Hall on Ice here. Beautiful photos! Love how excited Penny looks on the ice! We went skating at Wynyard Hall last week and had fun - hadn't skated for about ten years and was pleased to see I could still get around the rink without falling over! The cakes at the cafe were fab too.